One benefit of living in the Netherlands, near the Belgium border is the bountiful plenty of Belgium beers. 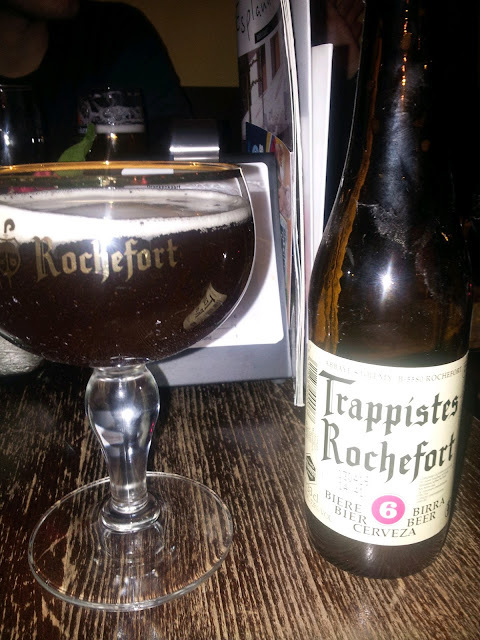 This beer is made in the Rochefort trappist brewery that is in Rochefort, Belgium (map) at the abbaye Notre-Dame de Saint-Remy. They make three types of beers that I (and Wikipedia) know of, but I've heard rumors of a fourth. This is the 6, which is a Belgium brown beer. It is delicious.